If you are a music enthusiast (or even if you are not), you probably heard of Spotify. Spotify is a digital music service that lets people access to million of songs. They also let you create your own playlist, and discover music related to what you always listen to using their services. When I tried their service for the first time in 2016, I immediately fell in love with this android app and has become one of my favorite things in the world. Spotify previously offered 3 months of Spotify Premium for P9 for new users in March 2016 which I purchased immediately. It was an amazing deal, and I was hooked with listening and discovering new songs that I kept the subscription for another 6 months. With Spotify, you can search songs and save them on your own playlist. Their list of songs is humongous and they even have tracks from local and indie artists I have been looking for. Ofcourse, it would depend on the track you are looking for. But for my list, they got most of it. I partner Spotify with another app called Musicxmatch which plays the lyrics of the songs being played with. The good thing about this app is that it's not only compatible with Spotify but also with any other music player you have. Spotify Premium is now being offered again. If you're a music enthusiast who wants to utilize the full capabilities of Spotify (like saving songs offline), then this promo is right for you. Have fun discovering new songs! While waiting for my big break, I decided to do something productive. I am trying to learn Spanish! If you have been following me on my twitter, I usually post about different hobbies and activities that keeps me busy while waiting for 2017 to end. They are mostly random, and sometimes, creative--like me creating friendship bracelet slash keychain and keeping a bullet journal. However, the most underrated thing in my social media is my quest to learning Spanish. Learning another language is tricky. It's not easy. I'll rather use the term challenging. I sometimes speak Spanish words out loud when I'm talking to other people inside the house. Or when I am doing Spanish activities (which I do religiously). I am far from being fluent but I am working on it with a little help from different Spanish learning resources. Yo habla un poco espanol. I can speak a little Spanish. There are two applications I find very helpful right now. This mobile language application is an easy and fun way to learn different language. I first used this in hope to learn Japanese, but it was not yet available in their system yet. And so, I decided to learn Spanish through Duolingo instead. I use this almost everyday. You earn points and gain experience when you finish certain tasks. They slice the learning process through different lessons, and you need to finish certain lessons first before you can move on to the next ones. What I like about it is that you get to choose the level of how you want to practice everyday. Finishing one lesson a day feels like so much accomplishment already. The psych of it! You can also join clubs and compete rankings with other user. Cheers for competitive people out there. 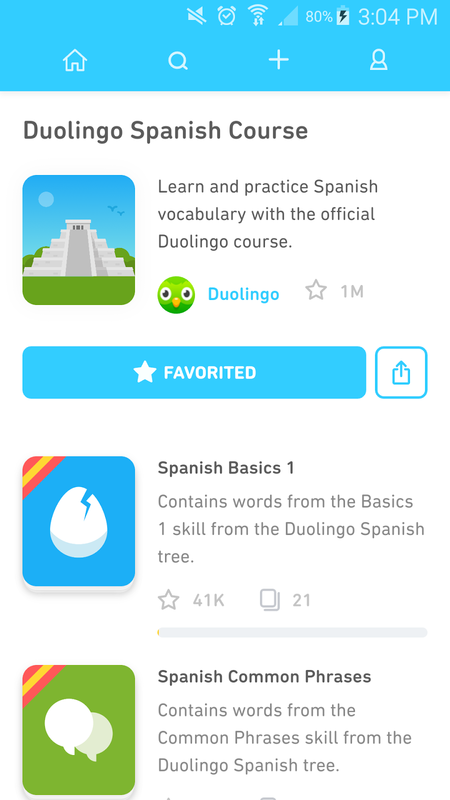 I found this app through recommended apps for those using Duolingo. It's like an app you can consecutively use for your Duolingo app to recall certain vocabularies. This works like self-study flashcards you use to check whether you have memorized certain list or definitions when you were in school. 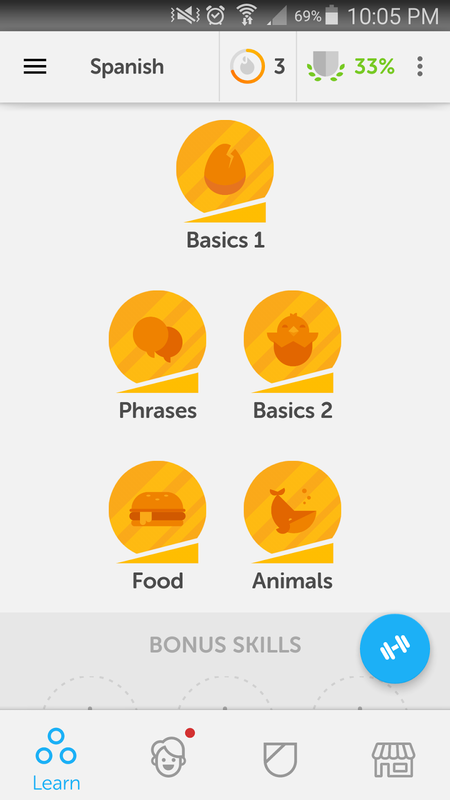 I think, my journey towards learning Spanish is progress. After all, getting progress is better than getting perfect. (I just heard that a lot from watching Marie Forleo). 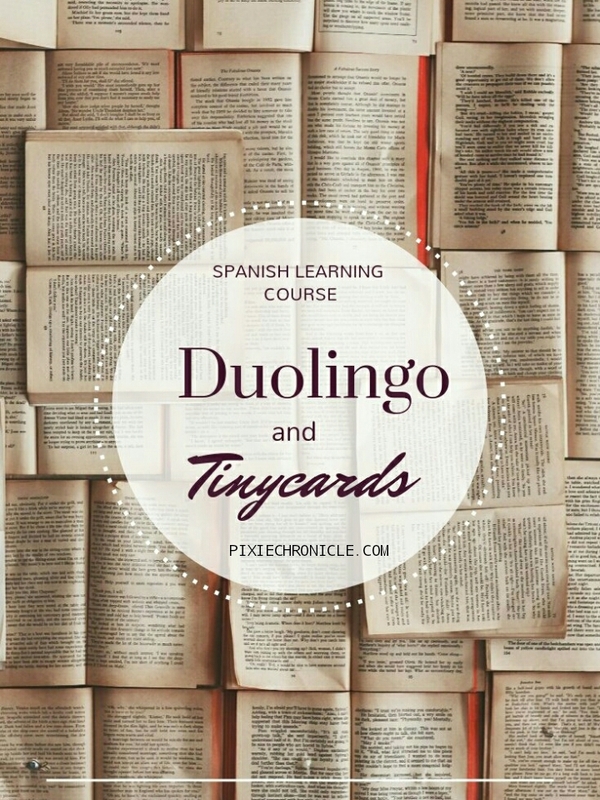 Have you used Duolingo and Tinycards? Share us your experience. Listening to music is one of my favorite things next to reading when I want to calm my senses. When I wake up, I would try to discover new songs and beat to cool tunes. Or when I’m feeling down, I have my “Fight Songs” playlist already in hand to cheer me up. I dance to “Midnight Fun” playlist or when I just want to chill, I have my “Senti” songlist playing already. In my quest to music discovery, I find Youtube and Spotify as good venue. I mostly depend on Youtube though in discovering local and international indie singers. I find their song renditions amazing and let’s face it, these are hidden gems yet to be discovered by the whole world. And I think they are more precious discoveries. My current favorite is Renee Dominique. She is a Filipino music artist who plays with her guitar or ukulele while singing on her videos. Her voice is angelic and I’m sure you’ll be amazed with her talent as well. I love playing her ukulele playlist because the tune is just so amazing and goes great with the instrument. Now my interest for ukulele just started. I was trying to search her renditions in Spotify but they are not present. Fret not though, I found the best way to listen with music offline. Wondershare Video Converter is amazing software that lets you convert media files into different types. It would be a wonderful tool if I have discovered it during my study when we had to do a lot of videos and editing for projects with specific file type for submission (e.g. AVI only or MP4 only). One function I love about this application is that you can download videos directly from URL. It’s very easy to download Youtube videos through this app and what more, convert them to MP3 file like what I did for Renee’s videos. Learn how to converter MPEG to MP4. It's a huge leap in managing media files. Many files can't be played by standard music and video player. I remember having to convert videos before I can play them in my phone. Android is more resilient now though but knowing that you have a trusty application you can always depend on. You may download Wondershare Video Converter Here. If you love the song and the music artist, buy the album to support them. But if you're with me and you love listening to music from these soulful artist, then having their music offline and play them wherever and whenever can make all the difference. A few months ago, I have decided to do something new. I tried to learn a new language--Spanish. Why this language you say? I just thought that learning this would be easier than other languages because some of the words used in the Tagalog language were derived from Spanish. However, teaching yourself something you have no knowledge about is not easy. But if you have resources to help you, then it can serve as a guideline to help you learn Spanish. My plan months ago to learn the language did not have a lot of progress until last month when I started gaining a lot of free time. Today, I am trying to increase my vocabulary and hopefully someday, become fluent in Spanish. Duolingo is a mobile language application which introduces language learning in a fun and exciting way. Play while learning Spanish by translating words, and multiple choice statements. Learning is divided in bite size lessons and you earn prize or lose life through the process. The process is pretty simple and easy to understand. This is a great tool to learn new vocabulary and some Spanish basics however, it can be challenging to learn grammar through this platform. You can download this mobile app for Android, iOS phone, and Windows phone. 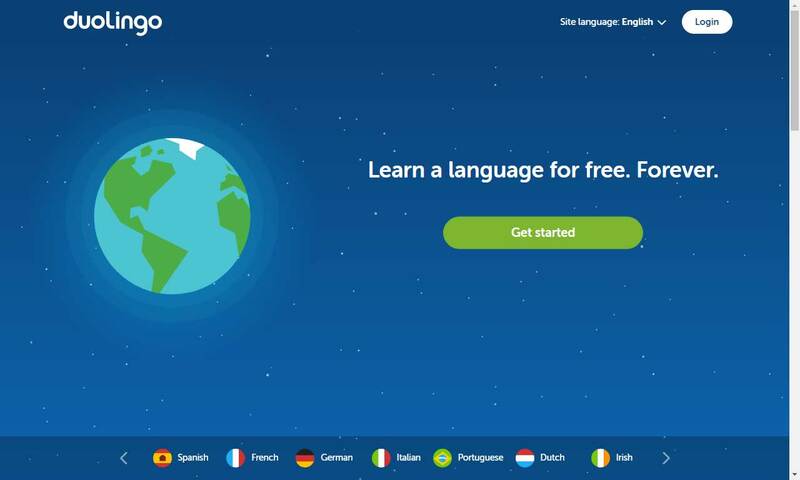 Learn the basic of Spanish language and a whole lot more for free from Ana, a.k.a. 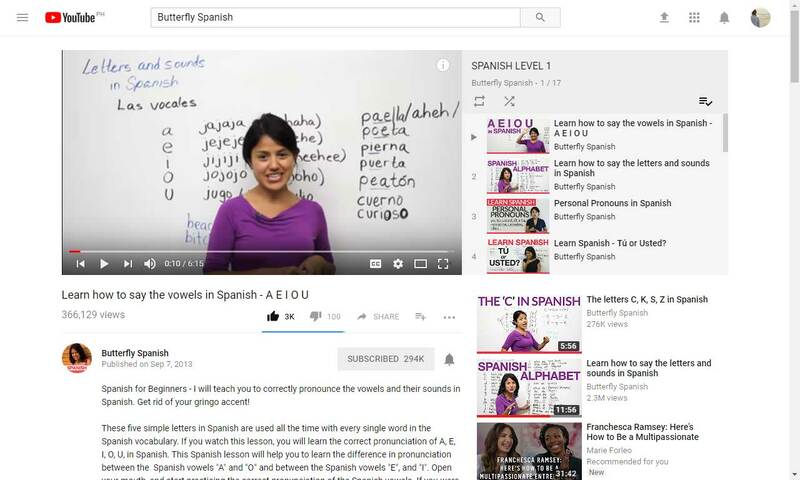 the Butterfly Spanish of Youtube. Watching her videos as she teaches Spanish really feels like you are a student in a classroom with her as your teacher. She teaches Spanish in a way so practical that it's easier to understand. I have some questions from Duolingo regarding grammar which were answered when I watched Butterfly Spanish lessons. I highly recommend you watch her video for introductory lessons in Spanish language. Another good way to learn Spanish is by finding a language partner who you can converse with and talk in the language you are learning. 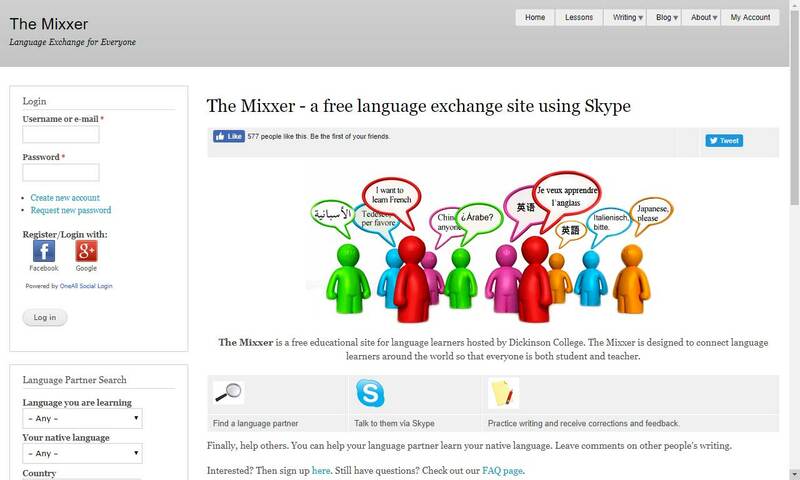 The Mixxer is a non-profit website hosted by Dickinson College to help students find a native language speaker of their study. The users from this site are varied so I guess someone can find a language partner of different kinds through this platform. I am still on the process of learning Spanish with two companions I met from the site who wanted to enhance their English language in exchange. We haven't started out yet, but I know it will be a good foundation for my education. My Spanish is beyond good yet but it is getting better. I think practice will be my key if I continue with this. I hope these sites will help you just like they are helping me. What language do you want to learn / or are learning? Are you familiar with the things I mentioned above? Have you had a language partner before? When people welcome the New Year, a list of resolutions file up in my feed. I will do this... I will do that... I will become a new person. But I started feeling that it's not really that. New Year's resolutions are just things to cheat ourselves to think that we will change. Hey, that is one pessimistic line! I know, maybe I could be more optimistic. Maybe there is a better way to write this down. January marks the start of new beginnings. 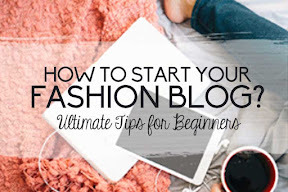 There's already a few things in my list that I am eyeing to do. That mostly includes soul searching and dream catching. In a few months, I will be graduating in college. I can't wait. I am excited. I used to loath the moment because I will be separating ways with my circle of friends, but after redeeming myself before the year ended, I just stopped having bad thoughts about it. It's not that I stopped loving my friends, but I've come in terms with the facts that one way or another, we will be separating our ways in the future. Depressing thoughts alert my mind right now. I love you friends. I am thinking that this time, I might be spending it more with my family or with some of my other friends. Ate Reg, my former dormmate is actually asking me to go backpacking with her on a beach or somewhere. I'm quite excited because we are planning to do this together with Ate Rose (another former dormmate). It feels like were some independent women. I am not sure though that would happen any soon now. I have to focus on studies until I graduate this March 2017, review for board until July, and finally take the board by August. I have too much to do by then but I know one way or another I'll be able to squeeze some time for travel. A few days before the year has ended, I've started to come in terms with my worth as a person. A person I love passed away and it was disheartening. It just triggered anxiety in me. Things just seemed to pile up one by one and I became so sensitive emotionally to the people close to me. Things they said, things they did. As much as I try not to admit it because I don't want people thinking I'm forcing myself to them, I'm hurt because I care for them. And feeling like they don't for me is really sad. This year, I started embracing myself more. Spending time reading books, studying, and eating alone has made me feel more comfortable. I stopped procrastinating over it but sometimes, I can still find myself thinking about it. This time, this year, I declare that this would be the year to start loving myself more. Distance myself from people and things who makes me feel anything less. This is the year to love myself better. And it's quite working. It's quite weird being able to make others happy but feel otherwise yourself. I could proudly tell anyone that I am the kind to try something just for the sake of experience. But ofcourse, there's a limit from the bad stuffs that without a thought should never be tried. I am looking forward trying a new hobby or learning a unique skill. I've started trying to learn Spanish using the Duolingo app and I've been watching, otherwise listening to Youtubers. I actually like Youtube a lot because I find it interesting seeing regular people sharing their life and videos. It's also a weird way for me to learn and practice my English. I might share my favorite Yotubers soon. They're totally awesome. This year, I'm trying to make it everything about myself. I'm trying to practice self-care and instead of procrastinating over what others feel (because I care for them a lot), I will be focusing more on my feelings. What about you, how do you see 2017?